I am very excited on writing this post. 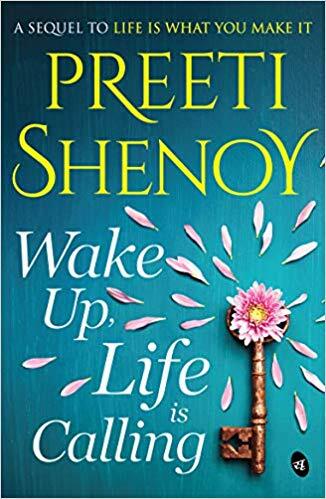 Because, I have finally Pre-ordered the Latest Book of #PreetiShenoy - Wake Up,Life is Calling You. This Book being the Sequel of the Bestselling book "Life is What You Make It" has so much expectation from all.As many of you, even I am very excited to know how life changed for Ankita after her recovery. A beautiful cover with the Little and the Key placed up side down with a flower placed in the hole of the key projects the life's journey. The Flowers Petals and the book Background Color (Green) brings a fresh feeling. A perfect Book Cover and I just Loved it.